I do like these polyethylene centre pull Test Point blanking plugs for 5mm/10mm/12mm/15mm/16mm/20mm duct holes. They are easy to insert and remove – BUT NOTE – the 16mm variety does not have the centre-pull tab (hence slightly lower price). 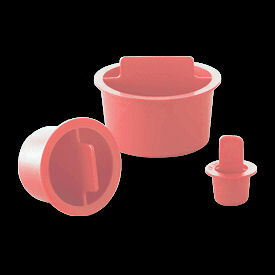 In my opinion well worth the very small premium in price over the blind rubber grommet plugs. NEW! “MIXED PACK“ – by popular request we are offering a ‘mixed’ bag of sizes. These are predominantly 10mm Mocaps but also contains 5mm, 15mm, 16mm and 20mm variations (for filling in other tester’s holes 🙂 ). Bag contains; 300 x 10mm, 50 x 5mm, 50 x 15mm, 50 x 16mm 50 x 20mm.